The Xbox One voice controls that Microsoft has so enthusiastically touted as a core feature of the system will only work in five countries when it launches. 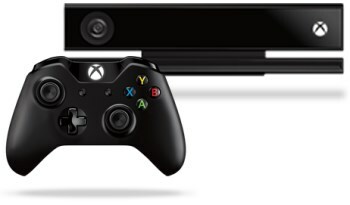 Remember how cool it was when Microsoft demonstrated how the Xbox One can be turned on by simply saying, "Xbox on?" And while Microsoft has since stepped back a bit from the lofty aspirations it carried into E3, there's no question that voice controls feature largely in its plans for the future of the console. In fact, the Xbox One "Get the Facts" page specifically states that "advanced voice and motion control open up new game experiences like never before," and that it can be turned on, off and controlled in various ways using voice commands. But as the sharp eyes at VentureBeat noticed, the promise of an ultra-convenient voice-controlled future carries with it a pretty big caveat: It will only work in five countries at launch. From the fine print at the bottom of the page: "Xbox voice commands will not be available in all markets on the product release date. Voice commands will be available at launch in US, UK, CA, FR, and DE." That's the United States, United Kingdom, Canada, France and Germany, for those unfamiliar with the abbreviations, adding up to just three different languages and suggesting that perhaps the localization issues that cut the number of countries in which the console would initially launch from 21 to just 13 are rather more troublesome than anyone thought. At the same time, it's strange that Microsoft doesn't include English-speaking nations Australia, Ireland and New Zealand in the list, or Austria, in which the official language is German. Trouble with accents, perhaps? Whatever the reason, it raises some serious doubts about just how effective the Xbox One voice command system will be, and it really doesn't look good on Microsoft, which at this point appears to be trapped in a flat spin of climbdowns and PR disasters. The way things are going, by November we'll be writing news posts about how the Xbox One will shoot your dog and set your house on fire if you look at it wrong.